The art of perfumery is an ancient one, born out of human desire to create a good feeling and pleasant environment. Perfumes are an epitome of refinement, a pleasing personality, and have significant impacts on the body and mind. They also have a special place in the Islamic and Arab heritage. With nearly 60 years of heritage and expertise in the fragrance industry, Ajmal Perfumes, a family-owned fragrance house of India, whose name means “most beautiful” in Arabic, is a shining example of dedication to the art of perfumery. 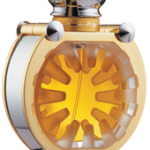 Today, Ajmal Perfumes is regarded as a Top 40 Arab Brand with its presence in the MENA markets (Forbes Arabia.) It has established a formidable global presence with over 200 exclusive retail outlets spread across 20 countries, and 500 dealerships across the globe. Its business presence is in over 32 countries with an annual turnover of USD200 million and is run by the second and third generation Ajmal family, a household name in India and the Middle East. The story of Ajmal Perfumes began in the early 1950s, in the verdant foothills of the mountains of Assam, India. In a village called Hojai in the Nagaon district of Assam, Ajmal Ali Haji Abdul Majid began a modest trade house in the lucrative Dhahanul Oudh oil derived from the essence of Agar wood (Aquilaria) trees. Oudh can take up to 20-40 years to harvest, and one kilogram of oil cost Rs 132,000 (USD 2,950). In the tradition of great masters, Ajmal Ali left his hometown for Mumbai with 500 rupees and some oudh oil as his starting capital. He worked in a dingy house in Bombay in the early 1950s blending perfumes and trying to find the right mixture that would impress the many Arab traders who visited India’s Western shores. In 1964, he gave his family name to his product range. He shifted his operation base from Bombay to Dubai in 1976, where he opened the first Ajmal outlet and launched its first fragrance, “Mukhallat.” The rest, as they say, is history. Today, Ajmal Ali’s five sons have distributed the work amongst themselves. They are, in UAE: Amiruddin, CEO of Ajmal Perfumes; Fakhruddin, CEO of Ajmal Real Estate; Nazir; COO of Ajmal Perfumes. In India, Badruddin and Sirajuddin look after the India operations. “Through decades of continuous research and experience in the art and technique of extracting pure oils from natural substances, Ajmal has became synonymous with high quality traditional Arabic and oriental fragrance products”, says Mr. Sirajuddin Ajmal, India’s Head and one of Directors for the Ajmal Group. In Islamic culture, the use of perfume has been documented as far back as the 6th century and its use is considered a religious practice. Eggs and floral perfumes were brought to Europe in the 11th and 12th centuries from Arabia, through trade with the Islamic world. There are records of the Pepperers Guild of London, going back to 1179; which show them trading with Muslims in spices, perfume ingredients and dyes. Two talented Arabian chemists: Jābir ibn Hayyān (Geber, born 722, Iraq), and Al-Kindi (Alkindus, born 801, Iraq) established the perfume industry. The Persian scientist, Ibn Sina, introduced the process of extracting oils from flowers by means of distillation, the procedure most commonly used today. (a unit in the Indian numbering system equivalent to 100,000 units) of agar trees, grown at various locations in Assam. The group has set up its research and development centre, at Hojai, with modern testing facilities for agro-extracts and essential oils. A team of highly dedicated scientists manage the Ajmal R&D Centre and help devise processes for producing value added derivatives, essential oils and herbal products from medicinal and aromatic plants. Ajmal, employing state-of-the-art technology, has produced an expansive product range to cater to the varying demands of its national and international clientele. Its fast moving consumer products are; Jabtisan, Hayati, Dewaan, Oudha Al Zaid, Mkt Shams, Abhaar, Ottarid, Rijali2001. Ajmal also boasts a new range of natural fragrances like Dahn al Oudh, Rose, Jasmin, Sandal and Saffron and a special range of economical purchases, like Maryaj. All contain ingredients that appeal to its growing global customers. Ajmal’s packaging design and production division have played catalysts to its success. The designs – both traditional and contemporary – are stunningly original, and are also eco-friendly and recyclable. The high quality of fabrication matches the elegant designs and is particularly appreciated by clients in the Gulf and other parts of the world. Ajmal’s constant innovation led to the introduction of retail concepts such as “My Inspiration” and “Ajmal Eternal” to enhance the Ajmal shopping experience. This has widely been received and appreciated by fragrance lovers across the Gulf region. According to Forbes Arabia, Ajmal Perfumes is ranked amongst the Top 40 Arab brands. The company has invested over USD 10 million in a new 150,000 square-foot facility in Dubai that offers a high-tech automated production unit including a research wing. With a growing network of 137 exclusive retail outlets across the GCC and Asia; ambitious plans that include expansion in London by 2011; and other key metropolisations in the near future, “Ajmal Perfumes has become a globally recognised brand,” says Abdulla Ajmal, Deputy General Manager of Ajmal Perfumes. Ajmal has an aggressive presence in the Indian perfume market with offices in Mumbai, Bangalore and Hojai. In the last three years, Ajmal Perfumes has opened up new showrooms in major cities of India. Before the close of 2012, Ajmal Perfumes is planning to make its presence felt in most of the state capitals and semi metro cities of India. marketing and distribution strategy to foray into markets with huge potential,” says Sirajuddin Ajmal, India Head and one of Directors for the Ajmal Group. “With the middle class is growing rapidly and disposable incomes increasing, the potential is immense. Ajmal’s vision is to be a more globally recognised luxury brand enriching customers’ lifestyles by encouraging creativity, innovation and continual improvements,” he says. # of branches: 200 retail outlets across 20 countries, with 20 showrooms in Kuwait, 7 retail shops in Dubai and 3 in Mumbai. Ajmal Perfumes also has 500 distributors worldwide. Latest released book, “A Doctor in the House,” by Tun Dr Mahathir Mohammed – fourth Premier of Malaysia – is a surreal read for history buffs, politically-inclined readers and those who enjoy a solidly pleasant book. It tells the tales of a medical doctor who lived through a myriad of foreign occupations, raised a family, led a nation for 23 years, and had a simmering penchant for business. Many people know Mahathir for being the Prime Minister of Malaysia with the longest tenure and the one who played an integral rule in placing Malaysia on the world map – but few realize how much of a role he played in creating some of Malaysia’s most important brands and promoting them globally. It can be said that he had more than a thumb in Malaysia’s economic pie – and though “A Doctor in the House” is full of his memoirs as an individual and mostly, a politician, the reader is unable to ignore his viewpoints on emphasizing role of business and technology, marketing them, and ultimately enhancing the Malaysian nation brand. Indeed, Mahathir became a brand name himself. Mahathir’s curiosity in the business and entrepreneurship realm began during the Japanese Occupation, when he was in his impressionable teens. Although the general Malay aspiration of the time was to become a government clerk, and many of his siblings struggled to serve the struggling government under the strict Japanese regime, Mahathir found that his survival instincts of an entrepreneur had played to his benefit. He and some comrades set up a small stall selling food and it was during that time that difficult period of non-subsidies that it was either feast or famine for the local Malaysian. The young entrepreneurs found themselves more successful than their peers who struggled with desk-job employment with the administration. After a few stints in different trades, Mahathir found himself educated on unfair trade (through learning how to short-change the customer). And it was through this experience that he suggested regimented rules on how to eradicate corruptive practices by businessmen later on. His plight – earning money, moving on, experiencing setbacks and becoming successful – strongly represents the journey of many players of the small-medium industries in Malaysia, whereby entrepreneurship is something of the cultural norm amongst locals. In recent years, the government has also launched graduate entrepreneur schemes and have included entrepreneurship degree programmes and elective courses in universities and colleges to enhance the entrepreneurial substance of the country. Mahathir talks succinctly about the negative effects of colonisation, and like other countries that have been colonised by the British, the grappling for ownership over some important economic sectors were difficult but slowly achieved over the years. Malaysia is richly endowed with many natural resources such as tin, palm oil and rubber. All three sectors represent a substantial segment of growth for the economy. Exports that have been born out of these raw materials include tyres, gloves, food cans, soap and cooking oil. Crude palm oil, in particular, has always been an earmark for economic discussion relating to Malaysia as the country remains the world’s largest producer of the same, warranting its own index on the Malaysian Bourse. Malaysia, as a rapidly developing nation – one that is set to achieve the developed status in 2020, a Vision also coined by Mahathir – would have never been in the position to formulate such a strategy had Mahathir and his office not grappled for rightful ownership over the corporations that were channelling tax revenue back to Britain. Mahathir’s idea on the branding of Malaysia came very much by the Vision 2020, the perfect vision for anyone to have, according to optometry – his master plan that he had laid out was to have Malaysia placed on the world map through attaining the developed status without forgoing the Eastern ideals and customs. This, through his own vision, would materialise through a major shift in industries. Developing countries have been known to make an important shift in sectors (as to capitalise on the more effective economic drivers) and Malaysia was not alien to such a change. Although agricultural projects have always been a forte in the economy, and arguably, still is – Mahathir decided to embark on new projects with emphasis on technology. Ironically, although his memoirs talk about the fear and uncertainty under the Japanese occupation, when Mahathir first assumed office as Prime Minister in the early 80s, one of the first policies he implemented was the Look East Policy for the business infrastructure of Malaysia. The Look East Policy embalmed a strong belief in looking towards Japan for the better foundation of business culture, such as implementing their self-discipline, business policies and organisational behaviour. It is interesting to note that at a time during the Japanese Occupation, Mahathir attended a Japanese-run school, and it was through certain practices such as radio drills, intermittent breathing exercises long distance running in formation, that he found he had the stamina to accomplish his goals. This is probably how he remained in office for so long and how Malaysia pushed forwards to reap revenue from the manufacturing industry and later the services sector. One of the first manufacturing-based leaps of faith came through the electronic transistor, which led Malaysia to become a major exporter of microchips ad this was when the country began to draw attention on the world map. Another major project was Proton, the Malaysian national car. Mahathir decided that he did want to see more Malaysians driving cars, but driving Malaysian cars. Proton has definitely faced much criticism over the years due to government policies that continued to protect the “infancy” of the local car manufacturing sector – even after decades of its existence – by imposing oppressive levels of tax upon foreign imports. Consumers argued that this was curtailing their choice in purchasing better quality cars for the sake of saving a government project. And critics insisted that Proton was one of the companies that were meant to fail under a capitalist market – in order for the sector to grow stronger and produce better quality cars for the local market. On the flip side though, supporters of the shift to the Heavy Industries sector insist the change was a positive one as it propelled Malaysia from being an agro-dependent economy and forced a change in mindset on how to utilise technology to build locally-owned products, and in the case of Proton, the national car. Seemingly so, the birth of Proton was set to change the mindset of traditionalist Asians, as Mahathir calls them, those who disliked change as compared to the progressive Europeans, who he perceived as people who “wanted to improve on everything.” So in revving the local engine, Proton was meant to improve attitudes, work practices and culture – alongside improving the Proton models as each new one emerged. Several other government-led corporations that have been recognised globally as well throughout the Muslim world include Malaysian Airlines, Petronas and Sime Darby, but have also received similar criticisms as to their survival. The Multimedia Super Corridor (MSC) was meant to be the launch pad for a paradigm shift in the mindset of Malaysians with respects to ICT, emulating the Silicon Valley in the US. Unbeknown to many though, the MSC was born from the accomplishments of the microchips project and pushed Malaysia forwards into the Information Age with full control over her destiny. The MSC essentially is one of the mega projects left of Mahathir’s legacy, especially with respects to achieving Vision 2020. Creating a virtually physical corridor from the city centre to the Kuala Lumpur International Airport and Malaysia’s own F1 Circuit (a project also led by Mahathir), the MSC encompasses a stretch of companies that are strongly affiliated to ICT. Unfortunately, Mahathir, as much as a founder of many business projects and a marketer of many leading Malaysian brands, was and is a politician to the core. The MSC, he admits himself, hit many stumbling blocks after he stepped down as Premier and although it seems like the private sector in Malaysia has matured in ICT development, a lot of ambiguity still rests with the real progress of the industry, mostly due to the lack of governmental support. Mahathir is recognised as a brand name across the Muslim world with Malaysia being known to be a progressive Muslim-populated country. It can be said that most modernisation came from the fourth premier who was always forward-looking in wanting to achieve goals for the country. His personal account of how he came to be a government servant, the Prime Minister of Malaysia and his life afterwards (in line with his personal beliefs he has abided by) is a must-read for any person who is inclined to learn about the country or the man himself.